Fans of the royal family have been waiting for this special day to arrive, and it’s truly a Christmas gift to us all. 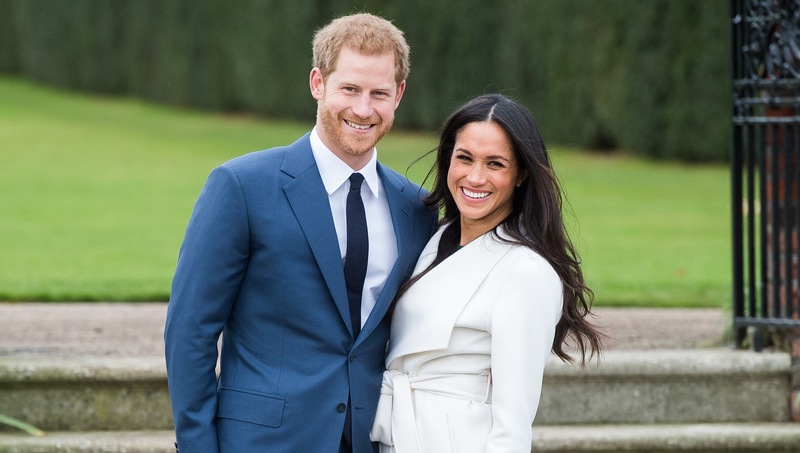 On Thursday, Prince Harry and Meghan Markle released their official engagement photos. The photos, along with a statement from Prince Harry and Markle, were posted via Kensington Palace, which shared the news in a thread on Twitter and in posts on Instagram. What makes this set of photos so stunning is how authentically they capture the relaxed nature of Prince Harry and Markle’s relationship. The stuffy conservative vibe we see in most traditional royal portraits isn’t present; it’s all about a couple in love. It’s similar to what Prince Harry’s older brother, Prince William, did with his engagement photos with Kate Middleton in 2010. The couple released one formal photo and one casual photo. However, Prince Harry and Markle’s photos seem to take it one step further, and it’s refreshing. Prince Harry wore a blue suit with a white shirt while Markle donned a formal black gown with mesh and gold adornments at the top of the dress. In all of the photos, they are either leaning into each other or cuddling. In fact, the reaction to the photos was so tremendous, a candid photo was shared two hours after the initial release by Kensington Palace. Then a gorgeous black and white photograph was posted. It shows the couple looking off into the distance with Markle grabbing Prince Harry’s arm and snuggling him close. They are also holding hands as huge smiles are seen on their faces. Markle will be included in the royal family’s Christmas festivities as they head to Queen Elizabeth’s country estate, Sandringham. The celebration will continue into 2018, as their wedding will be held in the spring on May 19.